We often here that China might attack us or that America is waiting to annex Iran. What many of us then think is, ‘why would a country want to reach out and kill so many people?’ We forget that unlike humans, countries don’t take their decisions based on conscience. Then how do countries decide what they wish to do? They decide it based on a variety of topics ranging from history to modern day benefits. This understanding along with the bunch of the factors affecting can be termed as Geo-politics. One of the most important factor affecting geo-politics is the trade relations. While the first world war was fought for land and the second for racial segregation, if ever there would be a third war, it will have something to do with trade. Speaking more specifically, one of the many fighting neighbours of India, that is, China which is heavily basing its angst towards the country through trade. It has continued to do so, for years. Yet, some sort of a paradigm has shifted in the recent year. 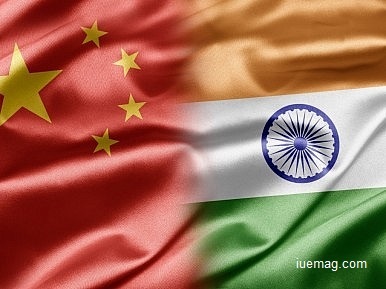 In South Asia, India and China are two countries that have high hopes of growth weighing down on their shoulders. Amongst these two, India is a developing nation with a growing economy and a steady work force of youngsters. There also exists a middle class that is estimated to reach 600 million in the coming 15 years, according to a report by McKinsey and Company. Thus, for many multinational, India fits the chart of a perfect market. To understand how the middle class and the younger populace are contributing to the economy, we first need to understand the concept of middle class. The households having around 1 to 2 lakhs per annum to spend freely are considered to be the middle class by the analysts. In layman’s terms, Middle Class is the working class that is neither too poor so as to not be able to survive nor is too rich that they have villas in metropolitan cities. They are the people that populate the public transits and rent house. When this working class gets combined with the raw energy of teenagers, the economy invariably gets affected. So, even though China has been affecting us using its sheer power of manufacture, the machine is growing old. On the other hand, the upcoming youth and the very prominent middle class, if given a solid support from the governmental policies, they can reach as high as the stars. Written & Submitted by GIBS B-School Student.